Original publication date: Thursday April 11, 2019. This research was presented in a series of six papers published today in a special issue of The Astrophysical Journal Letters, along with a Focus Issue that summarizes the published studies. Press release images in higher resolution (4000x2330 pixels) can be found here in PNG (16-bit), and JPG (8-bit) format. 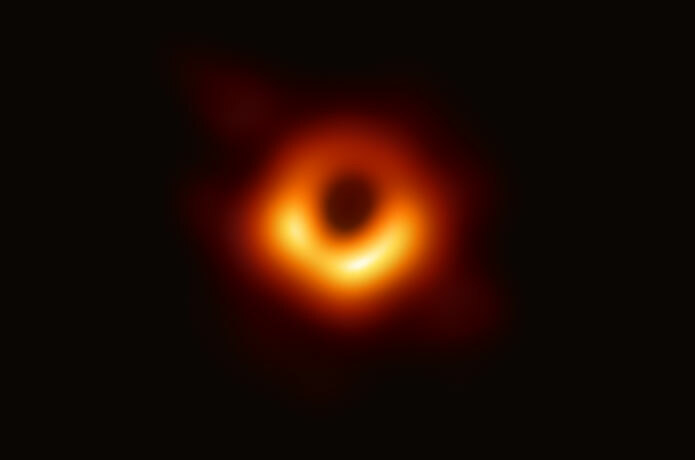 The highest-quality image (7416x4320 pixels, TIF, 16-bit, 180 Mb) can be obtained from repositories of our partners, NSF and ESO. A summary of latest press and media resources can be found on this page.